For a while, the most unique thing to eat at Yankee Stadium was garlic French fries. Now they have a two-foot cheesesteak. It’s taken a while but the Yankees are finally getting into the gimmicky food game. Until now, the most interesting thing to eat at Yankee Stadium were the garlic fries. But the Yanks are dropping the tradition™ of boring ballpark food and introducing some items this season in the mold of our nation’s finest stunt foods. Two years after the Rangers introduced The Boomstick, the Yankees are selling a two-foot cheesesteak. Only Babe Ruth could eat the whole thing. 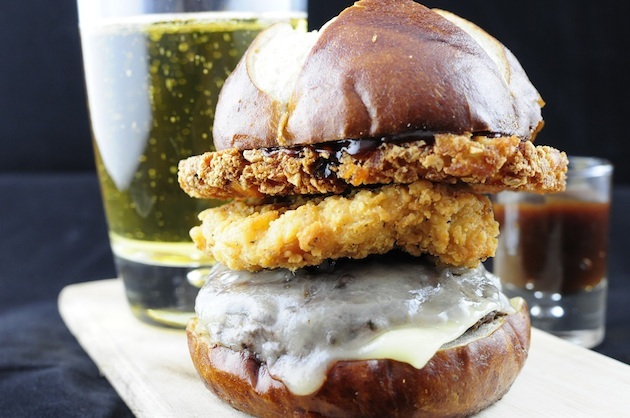 It’s a burger, topped with a fried chicken cutlet, topped with hash browns. 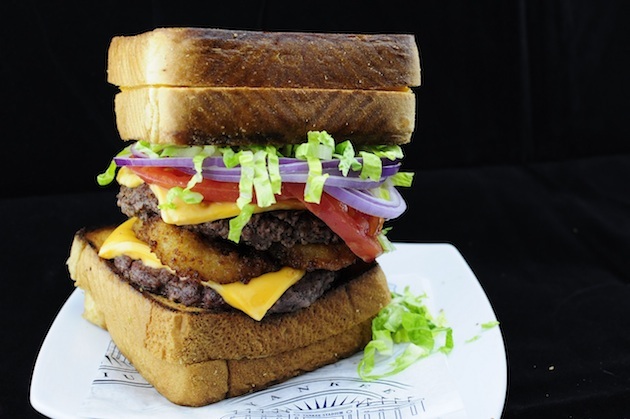 Who needs a double cheeseburger served between two grilled cheeses? The Yankees caught some heat from fans on Wednesday when the Mets announced they were adding one of the city’s trendiest eateries to Citi Field. Hopefully this makes up for it.